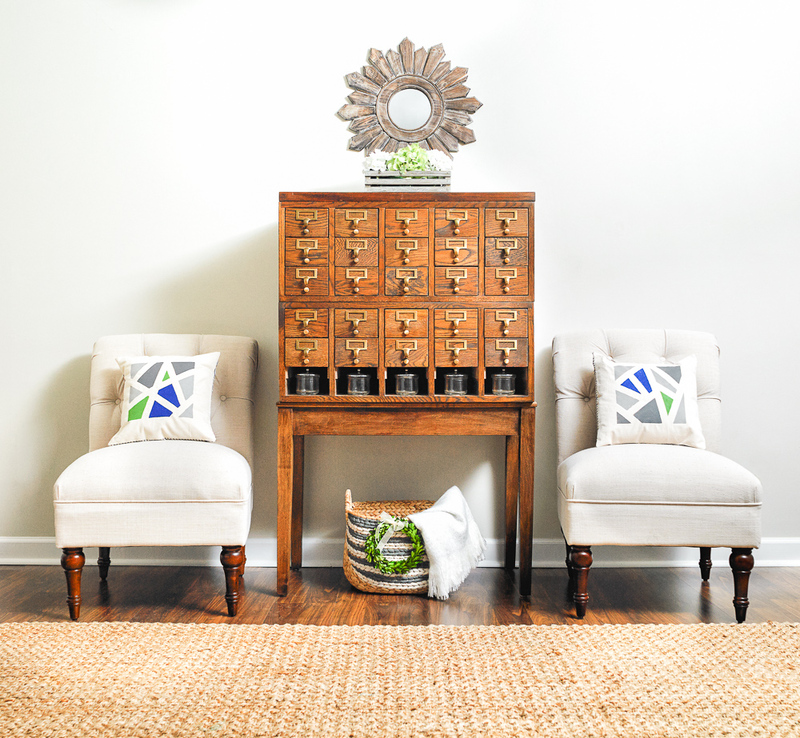 Woodburn Grey Wash Flower Crate: a fun and simple woodburn crate that is a perfect home decor piece. There are so many exciting things to share with you today! Not only am I going to show you how simple this woodburn grey wash crate was to make but I am also excited for one of you lucky readers to have the chance to win BIG with Plaid 🙂 As you know, I am a Plaid Creator this year and the creators and I had a chance to collaborate on a really fun project! Each of us contributed a home decor item and a gallery wall item to create one beautiful family room makeover! Just look at how beautiful this room is! Make sure you head over to The Plaid Palette for more shots of this beautiful room and the tips and tricks to make the projects you see. I’m big into crates lately! Do you remember my “home” crate I made to go along with the crackle mason jars? I actually made this crate before the fall one and I can’t decide which one I like better. 🙂 This time around I decided to add a fun pop of texture and tried my hand at wood burning. 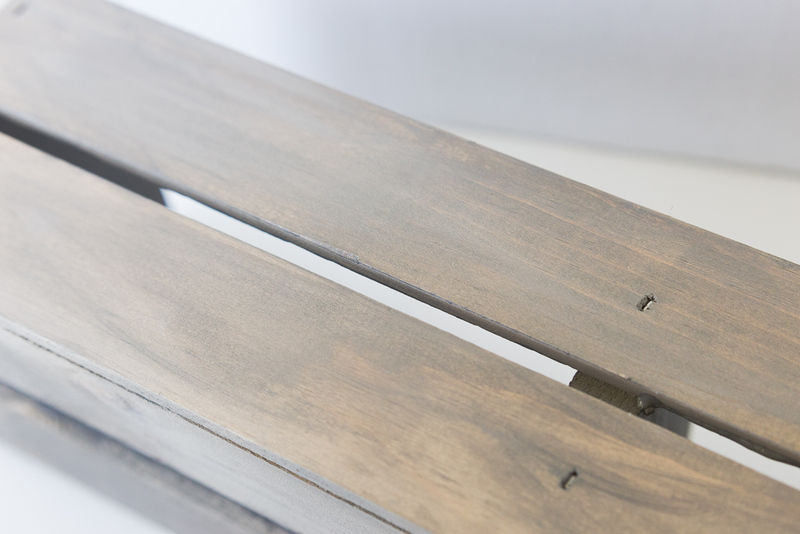 If you have not tried to wood burning something… you must! I was a bit nervous at first but it is addicting! 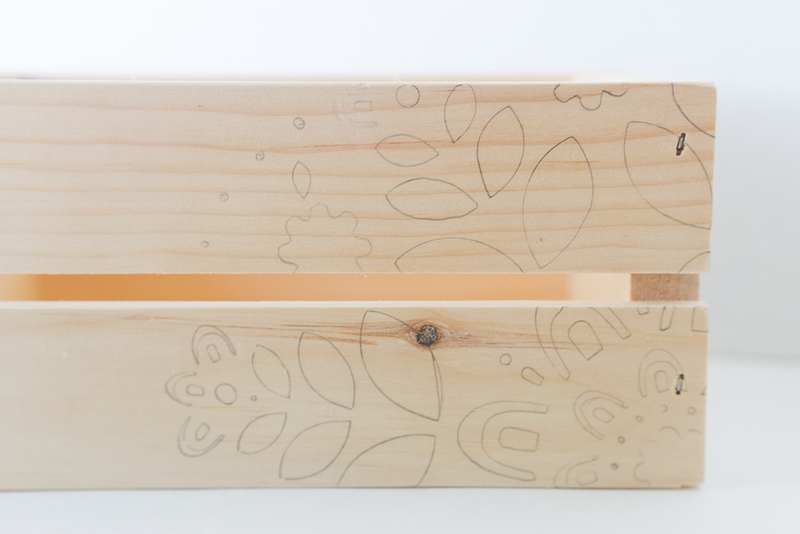 I began by placing my stencil in the bottom corner of my crate. This stencil was larger in size so i just moved the stencil around until I had the design where I wanted it. 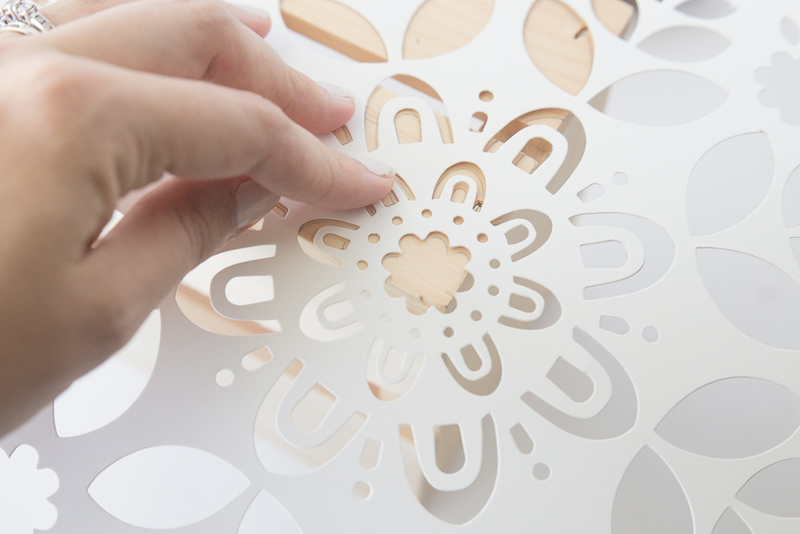 While I held the stencil in place, I made small and soft pencil lines following the shape of the stencil. 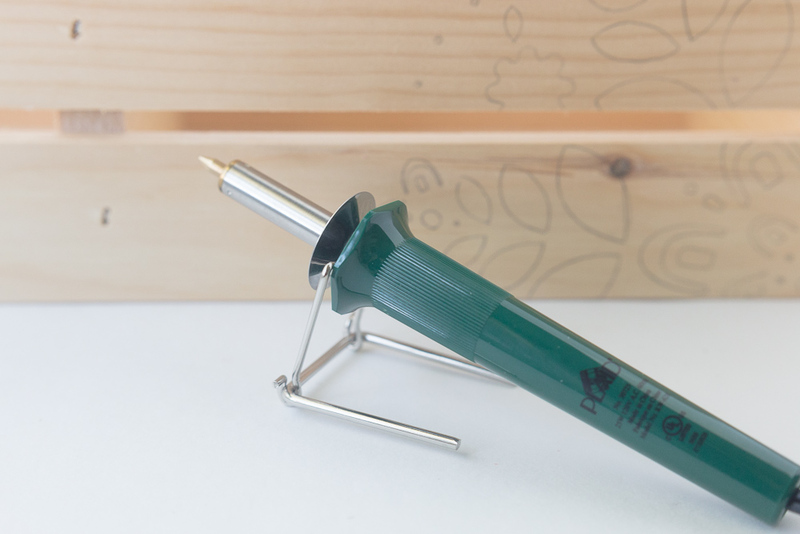 This helped create the perfect “guide” to wood burn. Following the heating directions of my wood burning tool I carefully wood burned around the “drawing.” Be careful to keep your hand steady and at an even pressure. The harder you push into the wood the larger the burn. When I was finished wood burning I painted a light brown basecoat on my crate. I simply watered down some brown paint and brushed it on and allowed it to dry. 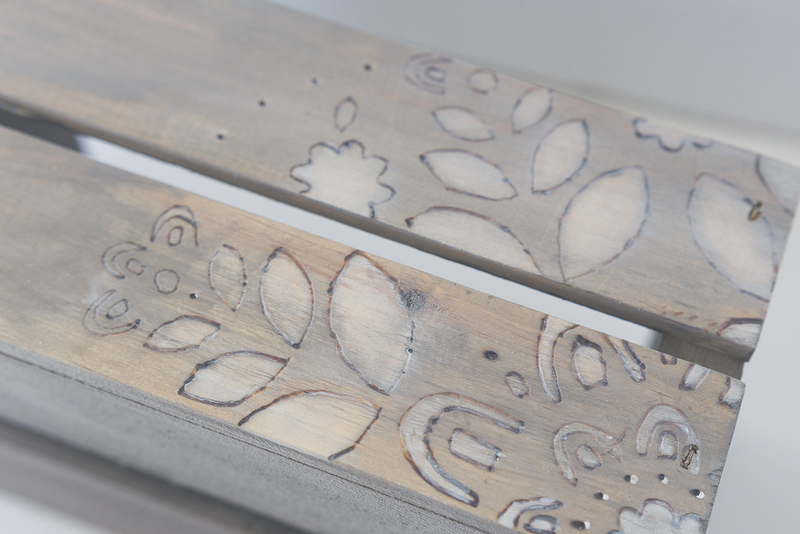 Once my base coat was dry I used my medium grey paint to paint in the areas of my wood burned design. I allowed the paint to dry slightly and then quickly rubbed it off with a clean and dry papertowel. It was a similar process as my stenciled color-block clock. 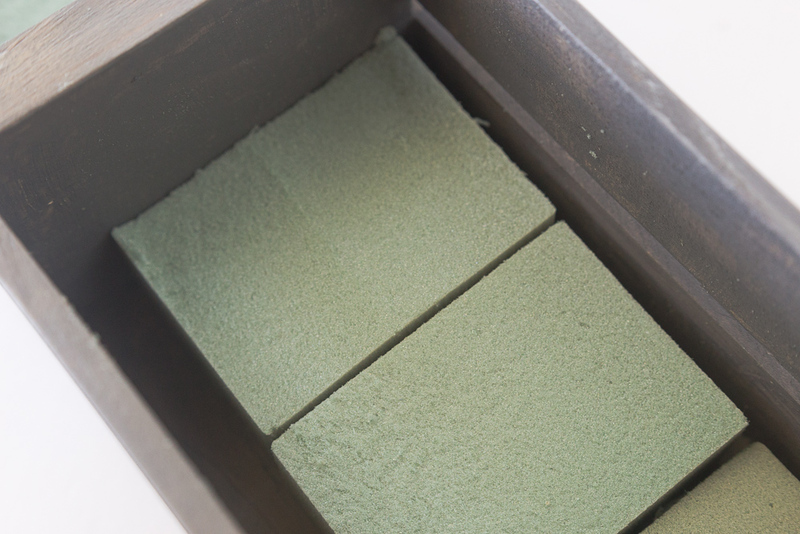 I added some florist foam to the base of the crate and began filling it with some of my favorite greenery. 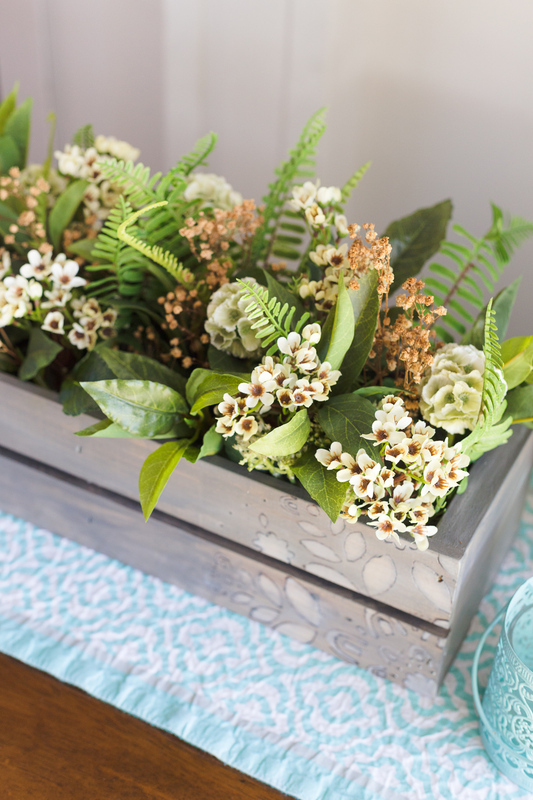 I place a few fun pops of neutral flowers and sprigs to the crate and I just love the added color. 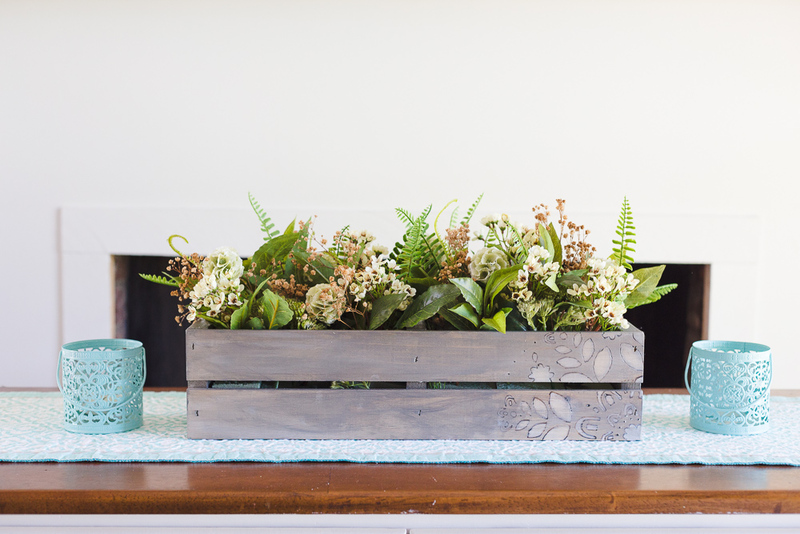 This woodburn grey wash flower crate is such a fun and dramatic home decor piece. 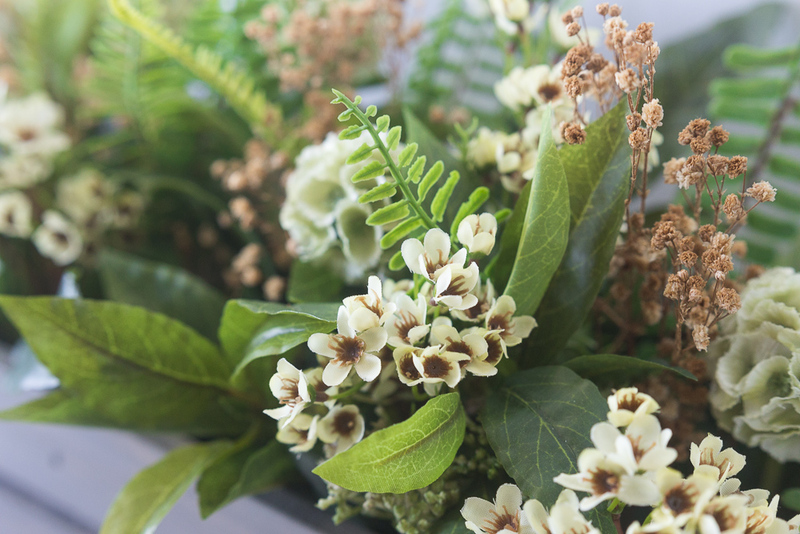 I can’t tell you how much a feeling of home greenery adds to a room. I love the small stenciled look in the corner. 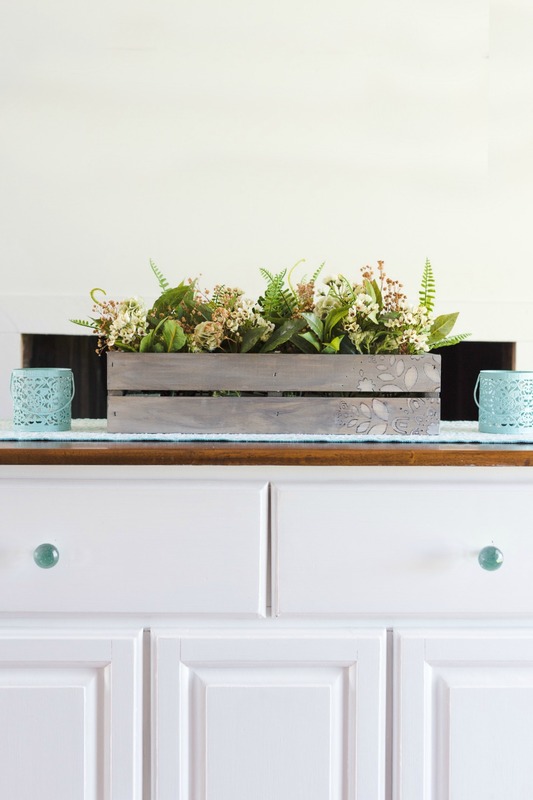 It’s just enough of a texture to add personality to the piece without stealing the show and he wood burning adds a great rustic flare to this crate. Enter to win your own collection of Plaid arts and crafts supplies to make your own DIY room a reality, PLUS win the entire finished designer art wall gallery designed by all of our us Plaid Creators! We’ve made it super easy (and fun!) to enter ­ visit and follow our Plaid Creators on Instagram or Pinterest using the app below. Enter through 11/30/16. US residents only, 18+ please. See below for full terms and conditions.